Its time again for the station's annual funding drive! 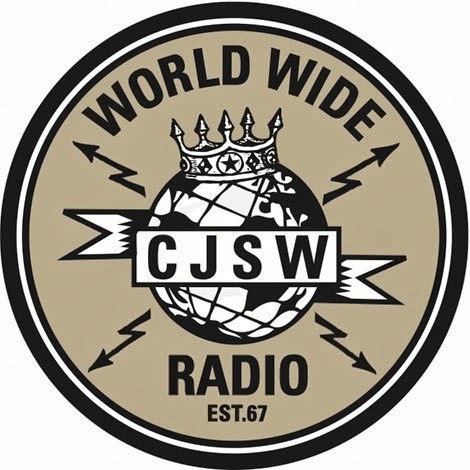 This entire week at CJSW 90.9 fm ALL 200+ programmers ask their listeners to help raise funds to maintain and improve the station. Its always an energetic time at the station with exceptional support from Calgary's community. Last year's goal of $200,000 was reached and the funds put towards boosting the station's signal strength. This year's financial goal is the same with the effort on updating the entire station's web presence, podcasting over 200 shows every week, and the licensing of music that comes with each program. Lofty, but the station is well on its way to hitting the goal. Thank you to EVERYONE who pledged live on the show or ONLINE (you can still pledge directly to CJSW. Make sure to let the station know that you are a 'Carnival Mix' supporter when you pledge).